While oil plays like the Permian Basin and the Bakken Formation have been garnering a lot of attention, the lesser-known STACK play is coming into focus. Located in Oklahoma's Anadarko Basin, STACK stands for "Sooner Trend, Anadarko (basin), Canadian and Kingfisher (counties)," and refers to a geographic area rather than a geological formation. STACK is aptly named because in the area, geological formations are stacked on top of each other, as many as four or more distinct formations, such as the Meramec, Osage, Oswego and Woodford formations, each with its own geological characteristics. Until late last year, Oklahoma allowed lateral wells greater than 1 mile in length only in the Meramec shales, but that changed last fall, when the restriction was lifted, allowing long lateral drilling in all formations. Lured by factors such as lower costs than in better known areas such as the Permian Basin and by a hydrocarbon friendly regulatory environment in Oklahoma, the STACK has attracted the attention of oil and gas producers of all sizes, including the behemoth ExxonMobil Corp. (XOM:NYSE), moderately sized Alta Mesa Resources Inc. (AMR:NASDAQ) and small-cap Jericho Oil Corp. (JCO:TSX.V; JROOF:OTC). The STACK offers the added benefit of not having distribution capacity constrained, an issue plaguing the Permian Basin right now. ExxonMobil Corp. (XOM:NYSE), through its XTO Energy subsidiary, has just filed to drill two extended laterals in the STACK, in Major County, targeting the Osage formation. 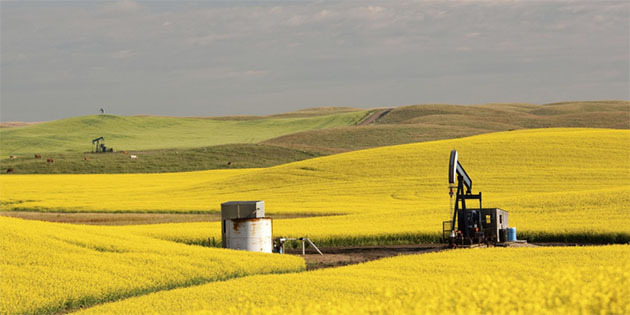 Alta Mesa Resources Inc. (AMR:NASDAQ), a public company created earlier this year by the merger of Alta Mesa Holdings LP with Kingfisher Midstream LLC, focuses on the development of unconventional oil and gas reserves in the STACK. The company has increased its land holdings significantly over the past few years. In 2014 the company held about 40,000 net acres; today it has more than 130,000 net acres. Alta Mesa has identified more than 4,000 horizontal drilling locations and has drilled more than 150 horizontal wells so far, finding high grade results in the Osage formation. The company notes that the "STACK is among the lowest cost basins in the U.S. with asset quality comparable to the Permian." But not all players in the STACK have market caps in the billions. With a market cap of around CA$75 million, Jericho Oil Corp. (JCO:TSX.V; JROOF:OTC) is one of the few publicly traded small-cap companies in the STACK. 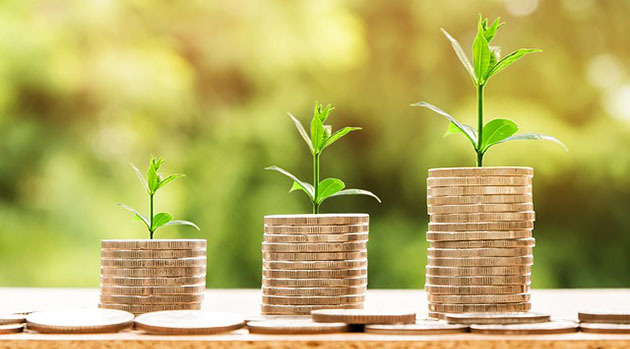 Small-cap stocks can provide higher returns than larger-cap stocks, as well as greater risk, according to historical data by Ibbotson Associates. Jericho is surrounded by majors in the field. In addition to ExxonMobil and Alta Mesa, Jericho's neighbors include Newfield Exploration Co. (NFX:NYSE), Continental Resources Inc. (CLR:NYSE), Devon Energy Corp. (DVN:NYSE), Chesapeake Energy Corp. (CHK:NYSE), Gastar Exploration Ltd. (GST:NYSE) and Marathon Oil Corp. (MRO:NYSE). Jericho, through its Oklahoma STACK Joint Venture, has rights to nearly 16,000 net acres in the STACK and a total of 55,000 net acres across Oklahoma. 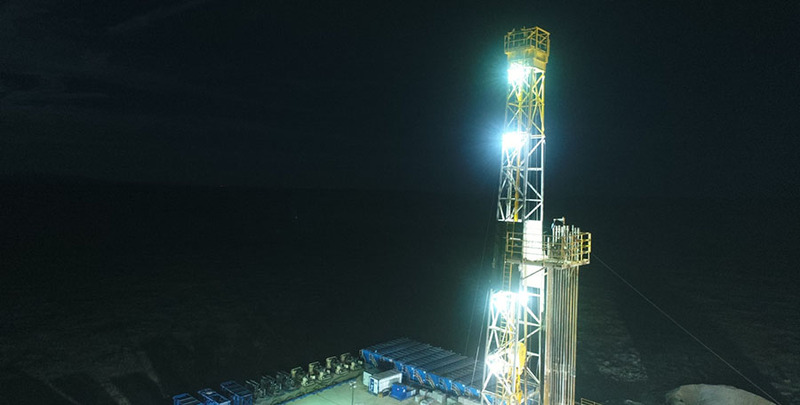 The firm recently announced that it has brought online a successful test well of the Osage formation; the STACK JV has a 47.5% working interest in the well. This is the company's second test well; the initial well tested the Meramec formation. This second well, Swordspear 23-10-15 H, is located at the border of Major and Alfalfa counties in the northern portion of the STACK. The company reported that after 30 days on an electrical submersible pump, the well is producing an average rate of 400 oil-equivalent barrels (BOE) per day, consisting of 61% oil. According to Jericho Oil, "Osage formation wells commonly take 60-120 days from the start of first oil to reach peak initial production." The company also noted that it it encouraged by "elevated bottom hole pressure on the producing wellbore relative to expectations, often a key determinant for higher producing rates over time." The most recent daily production reading is over 500 oil-equivalent barrels per day. According to the U.S. Energy Information Administration, in 2016 only 0.7% of the wells in Oklahoma produced more than 400 BOE per day. 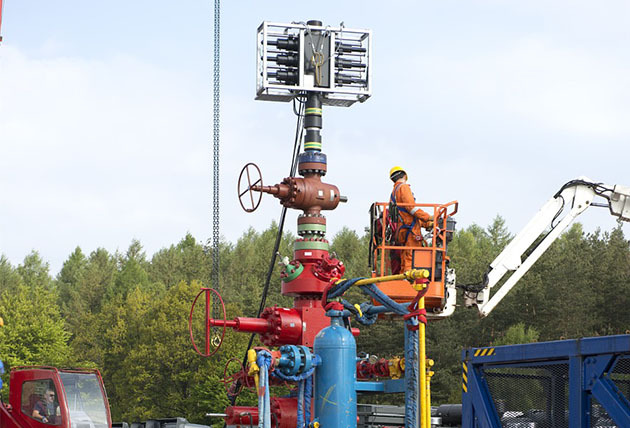 The high oil to gas content of the well is another positive development. Brian Williamson, CEO of Jericho Oil, told Streetwise Reports, "The high oil cut is important both from an economic standpoint (one barrel of oil has the energy equivalent of 6 Mcf of gas; oil is ~$65/barrel, gas is $3/Mcf, so gas would need to have a price of nearly $11/Mcf to have the same energy value) and from an overall area standpoint. 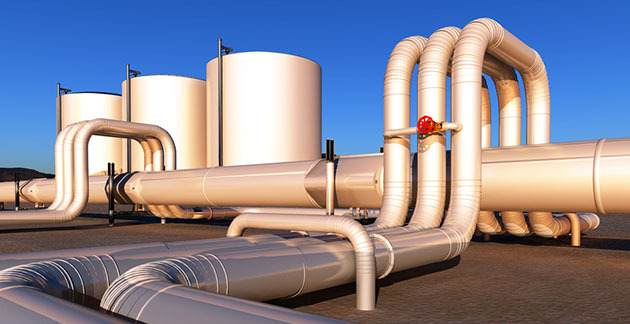 Lower gas-to-oil ratio wells are much easier and less expensive typically to operate. Gas prices are very depressed and the amount of available gas in the various high use markets (i.e., Marcellus, Utica) seems to be positioned to keep gas at or below $3/Mcf for the foreseeable future." The company also noted that "current ultimate recovery projections place the potential rate of return at greater than 50% (assuming $65bbl/ $3 Mcf and $5mm Completed Well Cost)." CEO Williamson stated, "We are incredibly encouraged with the early results of the Swordspear, successfully testing the Osage, proving the extent, both geographically and geologically, of the formation in the northern STACK Play of Oklahoma. First mover advantage in the northern STACK has allowed our company to assemble thousands of acres at very attractive per acre prices and we look forward to continuing to delineate and develop our asset base to drive production growth and strong risk-adjusted returns for our shareholders." Based on the success of the Swordspear well, the company is planning to participate in a second Osage formation well, also located in the northern portion of the STACK, which should be spud in late August. Exxon's two wells are just south of Jericho's position. Williamson stated, "We are also excited to see large majors like Exxon begin to develop their acreage position just south of our development wells." Jericho's 2018 development program, "leveraging its recent findings and successes, will focus on the continued delineation of its acreage footprint for both the Meramec and Osage formations and adding tuck in acquisitions that complement our STACK acreage footprint," the company stated. Jerico Oil has caught the attention of industry watchers. Bob Moriarty of 321 Energy stated, "I love dealing with Jericho Oil. They do what they say, when they say they are going to do it. That's about as common as a hen's teeth necklace. In the past week Jericho announced initial production numbers from their latest STACK play in Central Oklahoma. With those numbers in hand we can flesh out the potential for the company within the STACK." "Jericho participated in a joint venture on the well for a 12.6% interest. Their cost was $755,000. While production rates are still increasing, the well is showing 65% oil, 35% gas. Their piece is 63 BOEPD. A barrel of production equivalent today in the STACK is worth $40,000 if you sold. So their $755,000 cost generated a well worth $2,520,000 to them. That is a potential 233% ROI. With what they learned they believe their next well will cost them about $630,000 for the same 12.6% interest. That would give them a 300% ROI. That beats a red-hot-poker in the left eyeball. They have 175 more drill locations just for the STACK. I love this company," Moriarty concluded. Thibaut Lepouttre of Caesars Report wrote on July 25 that "Swordspear well is currently producing at an average rate of 400 boe/day (61% oil), but the output is still climbing as the most recent reports are confirming a current production rate of approximately 500 barrels per day." "Although remarkable, this isn't abnormal for oil wells in the Osage formation," Lepouttre stated. "Rather than immediately reaching peak production before initiating the gradual decline, oil wells in the Osage formation generally reach their peak production rates 2-3 months after the first oil has been recovered. With a current oil production rate of 500 barrels per day, it's pretty clear the exploration and development theory of these Osage type wells appears to be working out pretty good." "Another interesting thing is the fact Exxon Mobil has filed an application to drill two lateral wells targeting the same Osage formation the STACK JV has been drilling. Things appear to be heating up in Oklahoma, and Jericho Oil appears to be in the pole position through its stake in the STACK JV," Lepouttre concluded. Keith Kohl, managing editor of Energy & Capital, an independent research service, noted that "Jericho has built a strong position in the play consisting of approximately 16,000 net acres in both Garfield and Blaine Counties. More important, however, is that the company was able to keep its entry costs low." 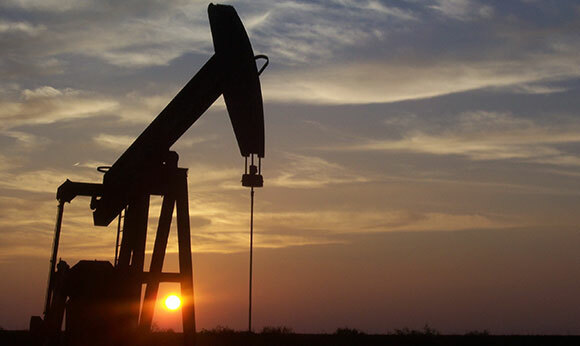 "It takes about two or three months to hit its peak initial production, and Jericho has already stated that recent production flows are in excess of 500 BOE per day. . .This is great news for investors looking to take advantage of higher oil prices. Not only is Jericho's breakeven around $40 per barrel, but these strong results mean the company will move forward with new wells," Kohl stated. "Look for this tiny driller to capitalize on more successful drilling results as crude prices try to find support above $70 per barrel," Kohl concluded. Technical analysis performed by John Newell, a portfolio manager at Fieldhouse Capital Management, found that "technically Jericho has had three steep corrections since 2014, but each correction held a higher low. The first target from this chart structure was achieved and exceeded on the spike up move to $1.35 in April. Unfortunately the chart broke the structure, and has had to rebuild. When shares have a pattern to them, they tend to remain in those patterns. Currently, Jericho has completed a natural retracement of .618 and looks to be finding a base here (on a shorter-term chart not shown) and has established new targets based on the completed .618 retracement and so far has held." 2) The following companies mentioned in this article are billboard sponsors of Streetwise Reports: Jericho Oil. Streetwise Reports does not accept stock in exchange for its services. Click here for important disclosures about sponsor fees. As of the date of this article, an affiliate of Streetwise Reports has a consulting relationship with Jericho Oil. Please click here for more information. An affiliate of Streetwise Reports is conducting a digital media marketing campaign for this article on behalf of Jericho Oil. Please click here for more information. Bob Moriarty: I, or members of my immediate household or family, own shares of the following companies mentioned in this article: Jericho Oil. Jericho Oil is an advertiser on 321 Gold. Thibaut Lepouttre has a long position in Jericho Oil. Jericho Oil is a sponsor of the website. Please read the disclaimer. I, or members of my immediate household or family, own shares of the following companies mentioned in this article: None. I personally am, or members of my immediate household or family are, paid by the following companies mentioned in this article: None. My company currently has a financial relationship with the following companies mentioned in this article: None. I determined which companies would be included in this article based on my research and understanding of the sector. I, or members of my immediate household or family, own shares of the following companies mentioned in this article: None. I personally am, or members of my immediate household or family are, paid by the following companies mentioned in this article: None. My company currently has a financial relationship with the following companies mentioned in this article: None. I determined which companies would be included in this article based on my research and understanding of the sector. I produced the Chart myself and used the Chart Service of Stockcharts.com as a paid Pro Member. Disclaimer : This Publication is protected by Canadian and International Copyright laws. All rights reserved. No license is granted to the user except for the user's personal use. No part of this publication or its contents may be copied, downloaded, stored in a retrieval system, further transmitted, or otherwise reproduced, stored, disseminated, transferred, or used, in any form or by any means without prior written permission. This publication is proprietary. A Raymond James report commented on this and a few other developments with this proppant and logistics provider. The company reports progress on several fronts at its Montney property in Alberta. Management believes this transaction adds value for the company's shareholders. An iA Securities report discussed the benefits of the merger and next steps for the acquirer. Raymond James reported on this Houston-based company's recently announced deal.